I always look forward to Easter celebrations, because it usually means that spring is finally in the air. The flurries outside of our window today are telling a different story though — spring seems to have missed the memo this year! In fact, I’m hunting right now for tights and wool sweaters and boots for Jane to wear with her Easter dress. Brrrr! 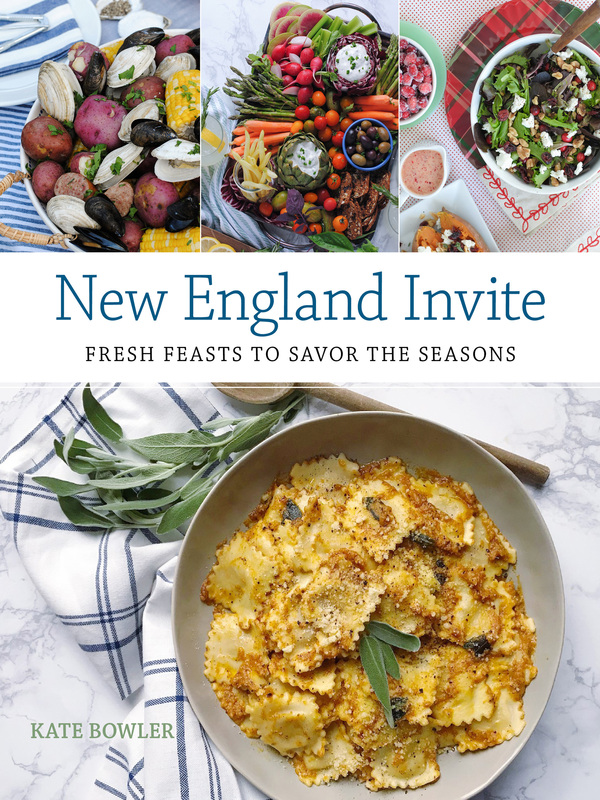 With the weather refusing to cooperate, I’m gathering all of the spring inspiration I can indoors and translating it into a spring tablescape that feels like warm weather is on the horizon. My friends at Boston Interiors let me pull some of their gorgeous accessories to pull together this look! 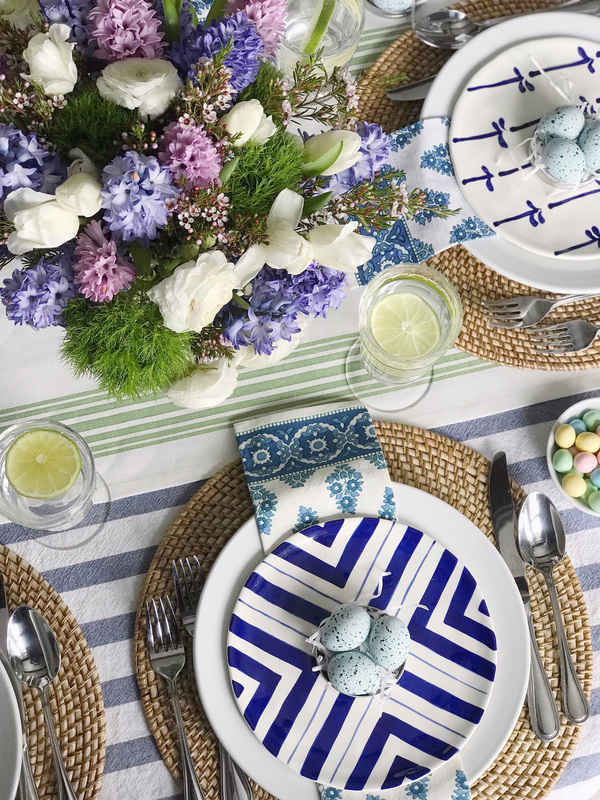 It all started with a set of patterned blue and white plates; the color palette is my absolute favorite. I layered the plates on top of my classic white dishes and paired them with my everyday flatware, but made them pop on top of textural rattan chargers. 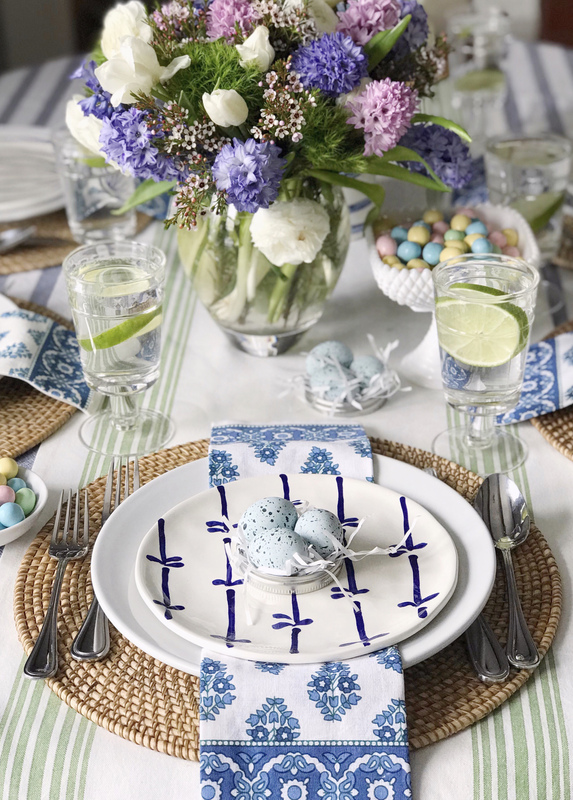 Layering table linens is the best way, in my opinion, to make a tablescape look really rich and deep; I paired a blue and white linen tablecloth, with a spring green striped runner, and patterned block print napkins. 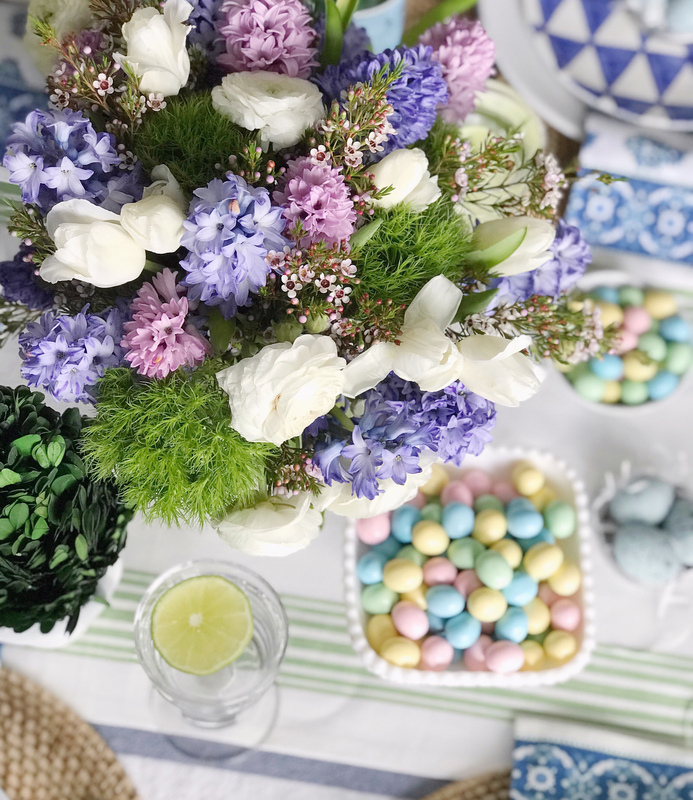 The layers of blue and white with a pop of green has a bright, fresh look — and made it easy to bring in spring flowers in the same color palette. All of the flowers were from Trader Joe’s — it’s a simple arrangement in my favorite glass vase pulling all of the blue and white and green tones from the rest of the table decor. I love it when I can get a wow-centerpiece with inexpensive, seasonal flowers — the whole thing cost $30 — proof that grocery store flowers can make an impact! 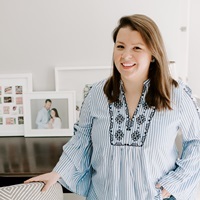 I used sturdy wine goblets from the Magnolia Collection for glassware — I love how these can do double duty for wine or water, whatever your guests decide to drink. 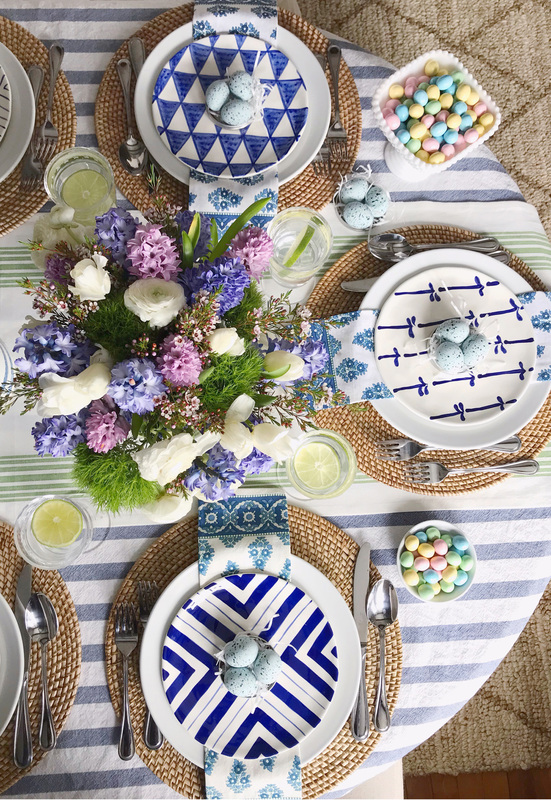 Every Easter table needs some Easter eggs too! 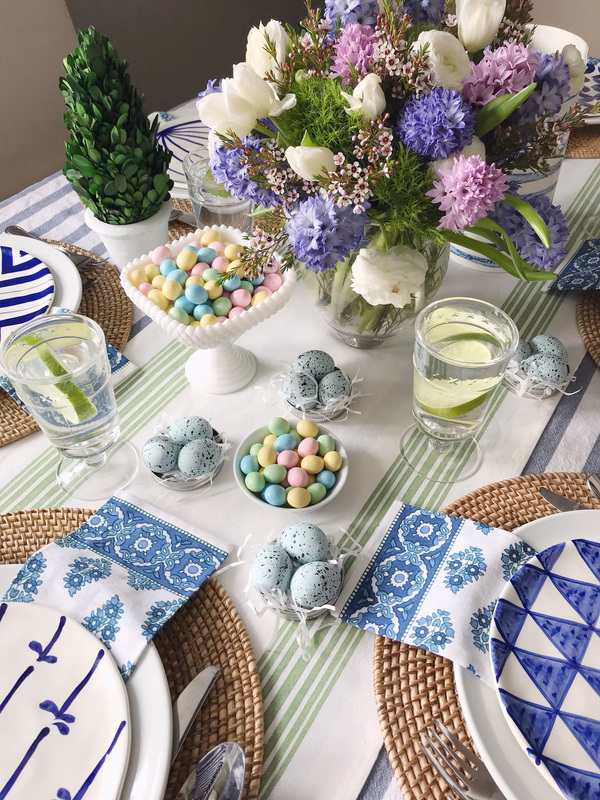 I filled bowls with pastel candy-coated chocolate eggs for some color, and added a few decorative robins eggs atop each plate for a finishing touch! In case you are wondering, I have eaten more than half of those candy eggs that are now perched on my dining room table — there is zero chance that they make it to Easter! I linked all of the sources below, to help you recreate your own pop of spring indoors until actual spring weather decides to show up! Happy decorating! Please note: I received product from Boston Interiors for this post; all opinions, images and content are my own. Thank you for supporting brands that support this site! The Download – 03.15.18 Satsuma Ginger Cocktail. 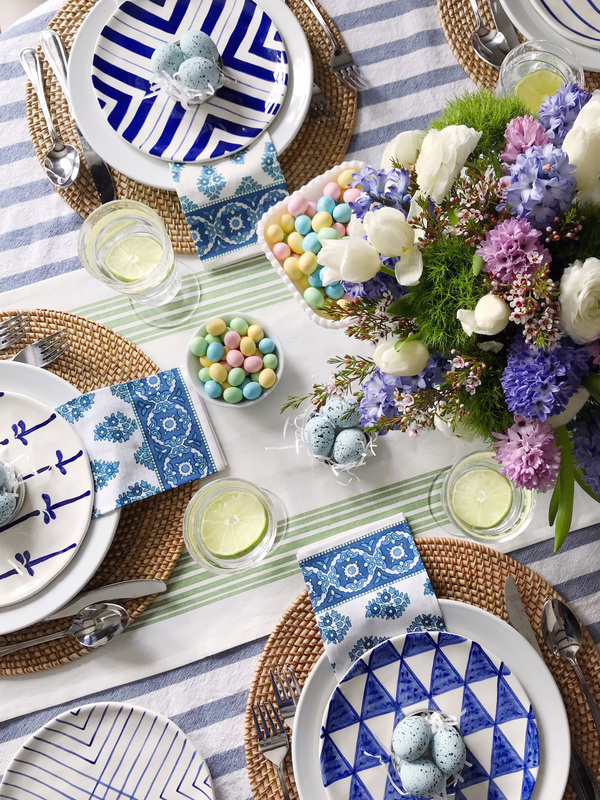 One Response to "Blue and White Easter Tablescape." I absolutely love this tablescape! 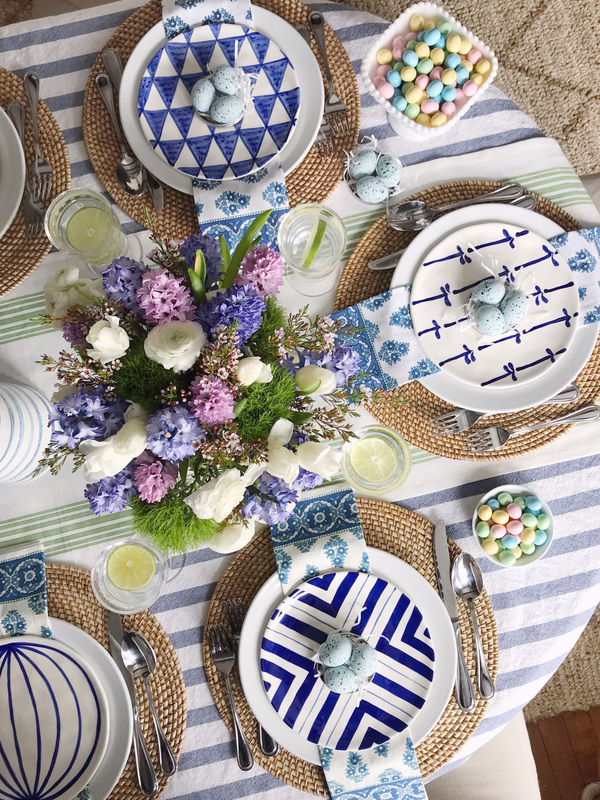 Love how you could use the blue and white plates for so many occasions! You have just the right amount of pastel for Easter too!